Kuwait, 27 January 2019: Abdulmohsen Abdulaziz Al Babtain Co., the authorized agent of Renault in the State of Kuwait urges its customers to experience the best of European performance in the 2019 model of Renault Megane. The offer includes a ten year comprehensive warranty attached with a special starting price of only KD 3,799. Externally, its muscular bonnet, broad shoulders, tight curves and sculpted slides emphasize its modern, sophisticated character. At the rear, the new lighting signature traces an intense, dark-red horizontal line. 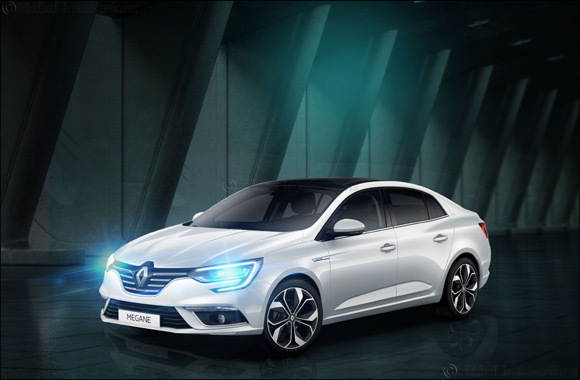 Proudly supporting its chrome diamond, MEGANE affirms its ambition and dominates the road. With comfort at its core, its sculpted, wraparound seats, worthy of the finest design workshops, the Renault MEGANE welcomes you in the greatest of style. It comes in 3 immaculately finished upholsteries, including one in perforated leather. From the speedometer and its centre console to the vents, it is jam-packed with real satin-finish chrome details. Enriched with driving technologies, the R-LINK 2 system and its large touchscreen makes total control of the vehicle only a touch away. Passengers can choose the MULTI-SENSE driving mode according to the mood while staying connected with R-LINK 2 for more comfort: with Android AutoTM and Apple CarPlayTM and get easy access to the smartphone’s driving-compatible apps using the large onboard R-LINK 2 screen. Backed by a digital speedometer, Bluetooth radio with voice recognition, USB & Jack sockets, 4.2” display, 4 speakers, ergonomic centre console, large 8.7-inch, intuitive, vertical touchscreen, etc. on board All-New Renault MEGANE, one is at the heart of the action. Renault Al Babtain encourages its customers to visit its showroom located in Al Rai and avail of the benefits that accompany the new model during the limited time offer.